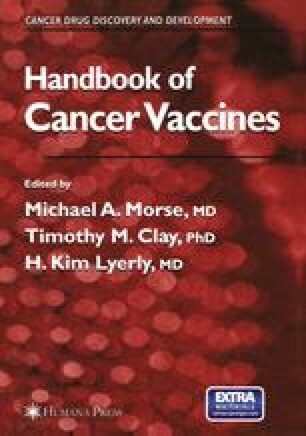 High-dose chemotherapy supported by autologous stem-cell transplantation has shown considerable promise as an effective and, in some situations, potentially curable approach to hematological malignancies including leukemias, lymphomas, and multiple myeloma (MM), which are otherwise refractory to conventional chemotherapy modalities. This is attested to by the substantial increase in the number of complete remissions experienced by patients over what had been achieved with standard therapy, and by the significant prolongation of event-free and overall survival times (1). However, despite advances in supportive care, continuing refinement of chemotherapy-conditioning regimens, and combinational maintenance therapy, relapse of the underlying diseases remains the primary cause of treatment failure (1). Thus, novel therapeutic approaches that have a mode of action different from and non-cross-resistant with cytotoxic chemotherapy are required to eradicate tumor cells that have become multidrug-resistant. For this reason, strategies for post-transplantation immunomodulation would be desirable. To this end, immunotherapy aimed at inducing or enhancing tumor-specific immunity in tumor-bearing patients may be useful for the control or even eradication of the remaining tumor cells.